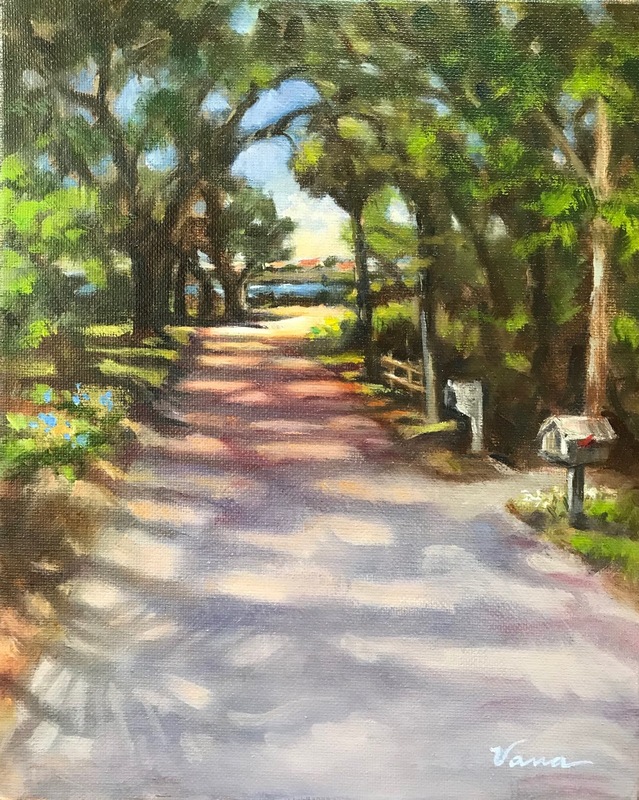 This is another painting of my favorite place to walk near the Anclote River. It's shaded by a beautiful canopy of mostly oak and pine trees which form a beautiful lacy network of shadows on the street. I painted this on an 8x10 inch canvas.